We started our journey to #ISTE2014 on Friday by driving from Texas to Alabama where we stayed with my dear #2ndchat friend Carol McLaughin. 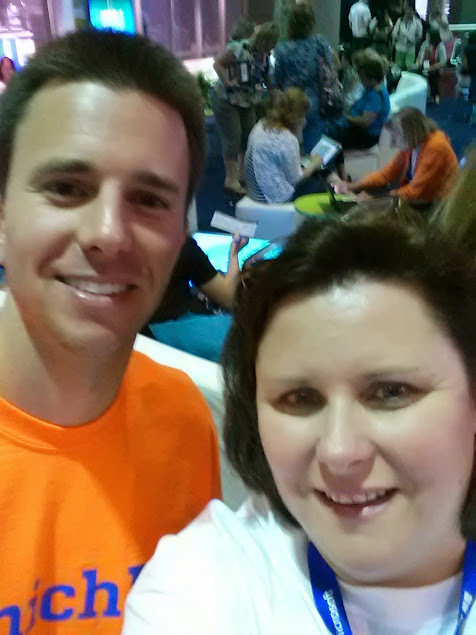 We have worked together for several years on #2ndchat and have collaborated on a few projects. It was so fun getting to sit on her couch and just chat! Saturday morning we arrived, checked in, got our peach popcicle and got busy. 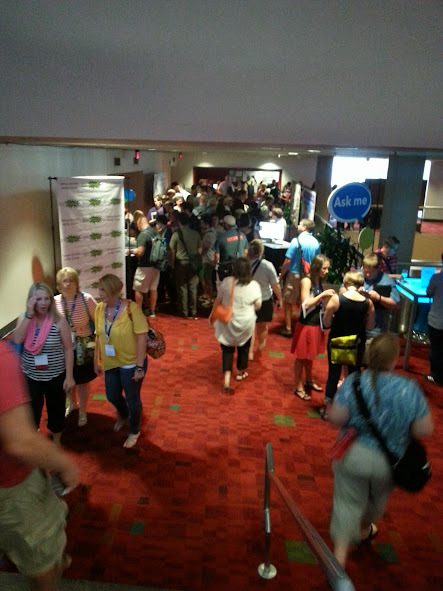 What an exciting first day at #ISTE2014! 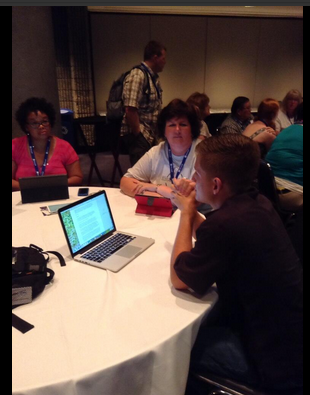 We started out in the Bloggers Cafe where I met many new people as we shared our Networking Game Codes. It's pretty cool how the game "forces" you to talk to people and pulls you out of the comfort zone. I met so many great people today while exchanging codes. 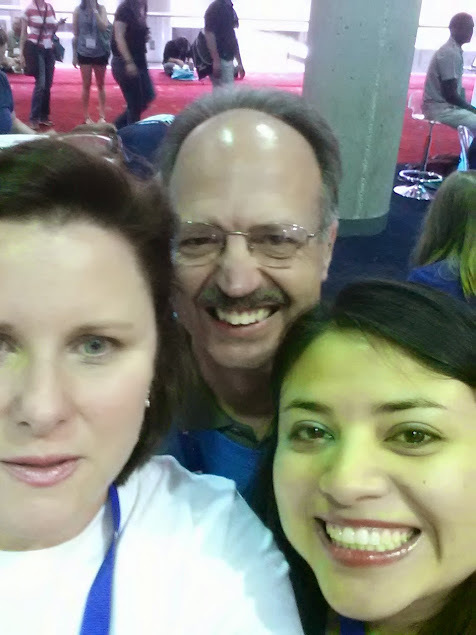 One of the highlights of my day was seeing Monte Tatom again (I met him last year at #ISTE13), Shelley Terrell, and John Spencer. 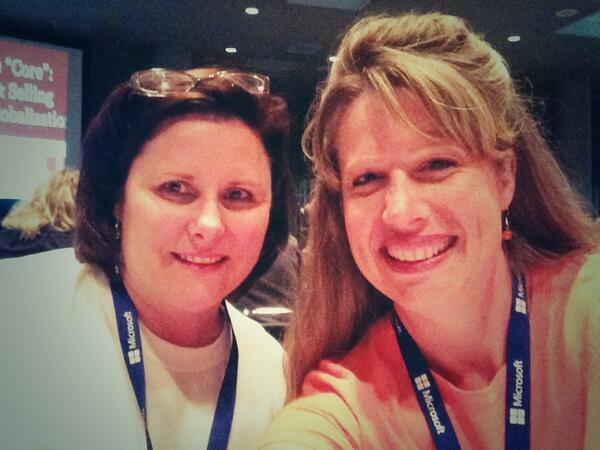 I have participated in so many of Shelley's webinars and it was nice to finally meet her in person. I also met Brad Wilson - the creator of the Write About This app. This is a really great app for elementary-age students and I can't wait to see what else he comes up with. I love his Twitter handle: @dreambition. 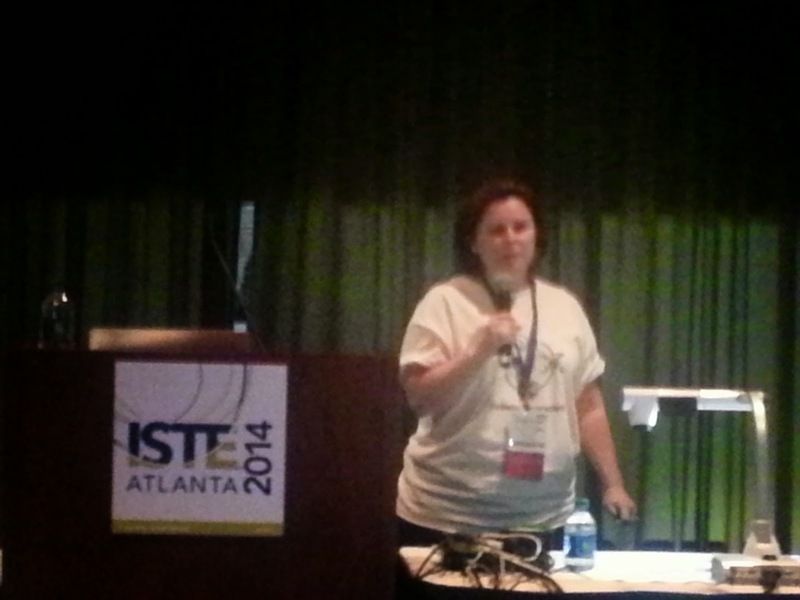 I think that many ISTE attendees have big dreams and lots of ambition for our classrooms. Entrpreneurs like Brad help make that happen. I finally met some of my #globalclassroom colleagues face-to-face and I loved how it we already felt so comfortable with each other because of the time we have spent working together virtually over the past several years. I attended the Global Education Conference Summit in the afternoon and enjoyed the round table discussions and ignite sessions. 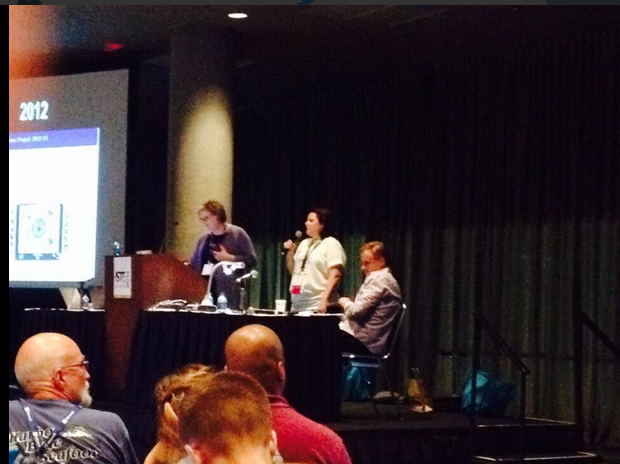 I actually got up there and presented an ignite session for the Global Classroom Project! Wow! Fun and scary all at the same time! I also got to meet the amazing Kitty Tripp! Listening to Aaron Brzowski explain Project Purus and how he brought clean water to the SAV School in Nepal. We went over to the CNN Center to grab a quick dinner before the keynote and because it was so busy we sat with a young man we didn't know, but was wearing an ISTE tag. 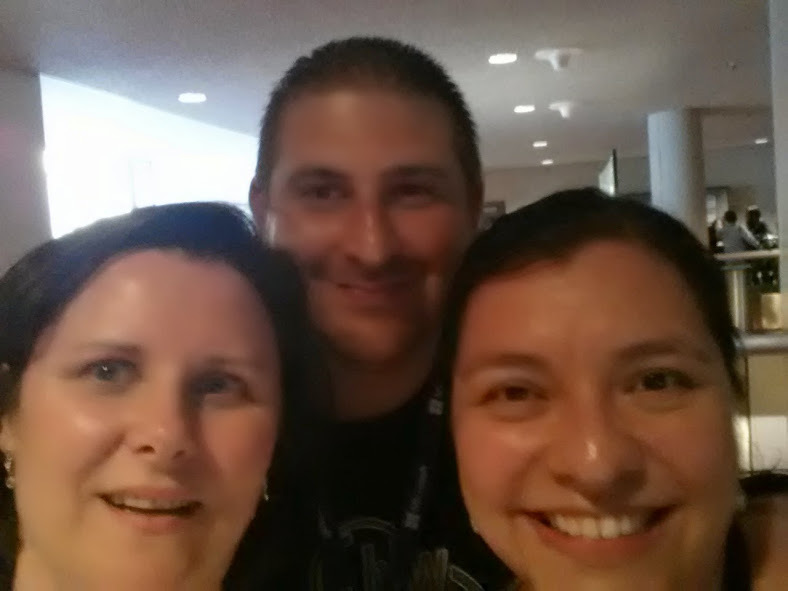 We had a great time getting to know Edxavier from Puerto Rico and then Popy from Canada joined us! Wonder if we would ever do that at the mall at home? Edxavier, Popy, and my hubby! 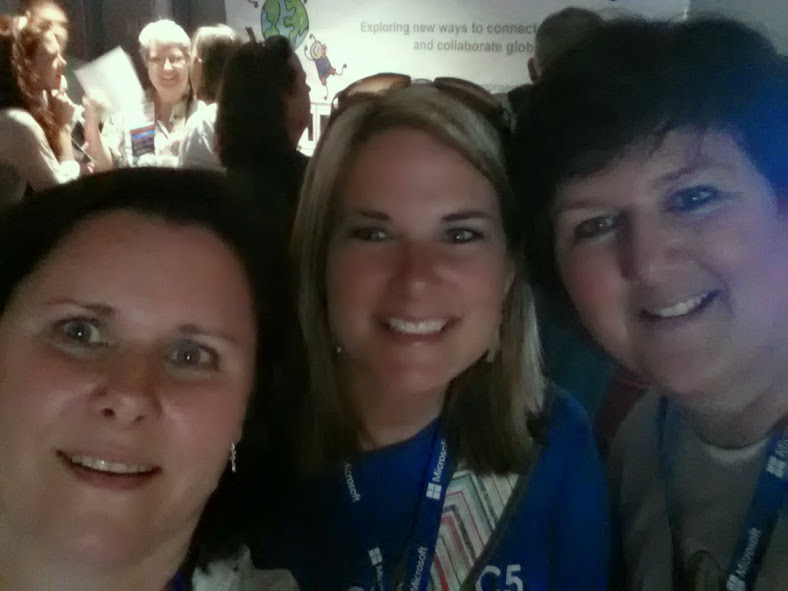 After the keynote, we worked together at the Global Classroom poster session sharing our amazing stories and encouraging others to get globally connected. It was also a great time to meet more people. It was a long day, but truly memorable. Can't wait for tomorrow!